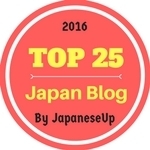 Japanese is not too difficult to learn but It does take a lot of motivation and practice to successfully learn the language. The best way to learn Japanese is by taking a class, enrolling in a course or investing in a good textbook. If you can't take classes then the self-study method with the correct resources is a good way. The best way to learn Japanese is through a variety of methods. You need to work on your grammar, listening, speaking, reading and writing. Its best to think of these as separate categories and focus on each specific category as these require different methods and techniques. These books cover both polite Japanese, which is extremely important to learn in order to speak Japanese effectively and causal Japanese, which is great for everyday conversations. I also recommend trying to learn a certain amount of vocab or kanji each day as this helps you build up your vocab and kanji ability. I tried to learn 5 kanji per day or about 20 a week and did the same with vocab. Watching Japanese anime or any Japanese TV program is a good idea for improving your listening skills and also your vocabulary. Keep a notebook and jot down any new words you hear. Then look them up and find out the meaning. Thanks for the advice and recommendations. The Shin Nihongo no Kiso series is a great textbook and has helped me greatly in studying Japanese. Thank you for your comment Blue Samurai!! Yes, The Shin Nihongo no Kiso series is one of my favourites and really helped me in studying for and passing the Japanese Language Proficiency Test (JLPT). I am currently attending weekly classes using the Minna No Nihongo book. At home in my spare time, I am learning kanji using a elementary grade text/work book. You can find the kids kanji books in most 100 yen shops. Thanks for the tip on the daily goal though, I'm going to start getting into a bit of a routine with my learning. Thanks JTM, These books have really helped me with my Japanese. The kids kanji books from the 100 yen shops are really good as well as using a formal book such as the Shin Nihongo no Kiso Japanese Kanji Workbook. I also highly recommend An Introduction to Modern Japanese. The book is designed to give the reader a solid foundation in modern Japanese, sufficient to handle everyday conversations and discussions as well as the ability to express their interests and life. I wish I could have learnt more than 5 kanji a day but it was a realitic number that I could manage. Can`t believe that you can get by in Tokyo wihout knowing the basic everyday kanji. 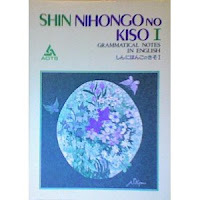 Shin nihongo no kiso was my very first Japanese textbook, brings back great memories. 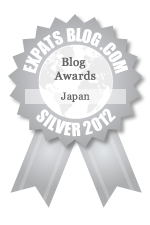 Actually I know a lot of people in Tokyo who don`t know any kanji at all. Would be better of course if they did take some time to study. Thanks Rohan, The Shin Nihongo no Kiso textbook series really helped me especially with the Japanese Language Proficiency Test (JLPT). 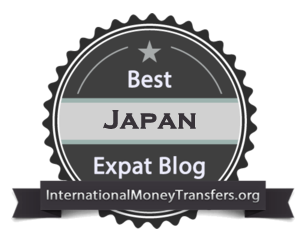 Totally agree with you, it is so much easier and beneficial if you know Japanese in Japan. "The part where you said 'watching Japanese anime is a good idea'", I totally agree with you. As you can see by the name, I'm trying to learn Japanese with the use of Anime and I'm telling you, it's really effective! Thanks Edgar, Yes, anime is a good way to help learn Japanese and is great for improving your listening skills and vocabulary, but it should not be the only way. I believe that you should use a variety of methods and techniques to learn Japanese effectively. Question: Whats the point of the audio cassette of the Kiso book? Like I found paperback version, but I was curious about the audio. Is it just the book in audio? And also whats another recommendation after finishing the Kiso I and II? Thanks! 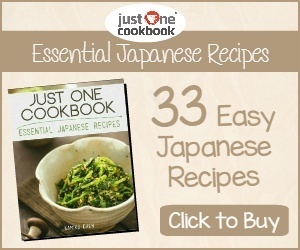 What helped me immensely in my japanese language learning was busuu.com and lang-8.com. Much better experience than learning with books for me. In addition to that, reading bilingual books like "Read real Japanese" or "Reading Japanese with a smile" is so much more fun than a regular textbook. Thank you Michael for the website tips, I'll have to check them out. Thanks Anon, It sure is a fun way to learn the language, especially if you are a fan of Japanese anime.